Home / Business / AKD cuts himself a piece of every pie! AKD cuts himself a piece of every pie! 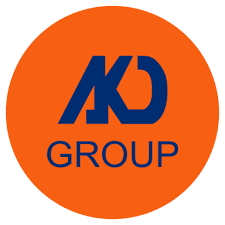 The AKD Group is a renowned and vibrant business conglomerate operating in key sectors of Pakistan’s economy. MrAqeel Karim Dhedhi (AKD) is the founder and Chairman of the AKD Group, one of Pakistan’s leading veteran business tycoons. He has his fingers dipped in a little bit of everything, his key sectors include securities brokerage, investment banking, telecoms, oil & gas exploration, venture capital, private equity, real estate development, and asset management. The way he started his business journey with risky adventures and endeavours shows that he had a tough time with climbing his way up here. His collective investments in almost every field, are not just for hedging financial bets. Most of his projects proved out financially unsustainable yet he stood dedicated to investing in startup ventures. This is what made him one of the richest businessmen in Pakistan because there is no success without failure. And, those who surrender in front of failures are the ones who never manage to achieve their dreams. AKD Securities Limited, the flagship company of AKD Group, is among country’s top brokerage houses executing significant daily volumes traded on the Pakistan Stock Exchange. Many customers have entrusted them with services. The reason citing to that is that it provides a wide array of retail, institutional, high net worth individuals and international investors. It surely comes among the top securities companies operating in Asia. MrAqeel Karim Dhedhi is well respected for his decades of experience in capital market, it is natural for the group to progress towards the right flow. It is quite evident that with his splendid experience in this arena, he always says the right things and makes the right predictions about the industry’s trends. Lastly, AKD Group also contributes to being a major force in Pakistan's real estate market with extensive interests in numerous residential and commercial real estate projects all across the country. There are various real estate projects being managed and run by AKD Group in many parts of the country. We can conclude that the ventures started by Aqeel Karim Dhedhi are benefiting the country to a great extent. Aqeel Karim Dhedhi himself portrays a positive image of Pakistan and acts as a binding force between top investors and businessmen in Pakistan. His contributions to the rising economy of Pakistan will always be remembered. There is nobody like him who has served Pakistan with open heart and good intentions.